Taken by Our Very Own Coco Plum Guests! As the New Year approaches, we are reminded of the beautiful memories created at Coco Plum over the last year. Known worldwide as a Top Hotel for Romance, Coco Plum Island Resort is the epitome of love. Our guests surely reflect this love with each of the magical photos they have posted. 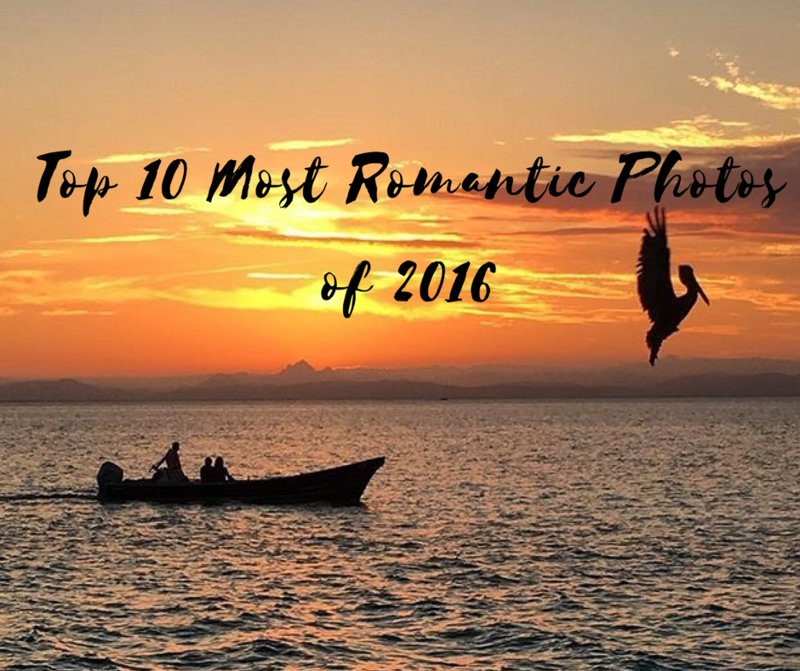 Take a look at our Top 10 Most Romantic Guest Photos of 2016 and remember to share all your photos using the hashtag #cocoplumislandresort on Instagram for a chance to be featured! 10. Newlyweds showing off the hardware – island style that is! 9. Celebrating the arrival of your little bundle of joy with a babymoon in paradise! Relish those precious moments with your loved one as you await this life changing moment. 8. Ssssshhhh … these two lovebirds found a secluded spot on the beach! 7. And what’s romance without a little adventure? Just look at those views of the Xunantunich Maya Ruin! At Coco Plum you can experience both jungle and island adventures as this tour is included in our all inclusive honeymoon and lovers’ getaway package. 6. There is absolutely no better way to propose than on a romantic private island! Swoon 🙂 Let us know if you need any help in planning a surprise for that special someone. 5. Morning coffee with the Mr. & Mrs.
4. Feel the love as you watch the Supermoon from your very own private island! 3. Kisses over the docks of Coco Plum! 2. Thriving marine life surrounds our entire island. These starfish are the perfect accessory to show off those rings! NUMBER ONE: And it doesn’t get much more romantic than a destination wedding on your very own private island. Congratulations to Philip & Sarah! Feeling the love yet? We invite you to join us at Coco Plum Island Resort where we celebrate love all year long. Whether you simply want to get away with your loved one or are celebrating a special occasion such as a honeymoon, babymoon, anniversary, birthday, or wedding, Coco Plum provides the ultimate private island escape. Remember, Valentine’s Day is quickly approaching and we can’t wait to make that day extra special for you & your loved one with special touches like romantic private dinners on the overwater docks and sunset cruises on the private boats. Book now because all cabanas are almost sold out for February 2017. We cannot wait to see you all soon ….